There is, nonetheless, a "release clause" in the Yom Kippur liturgy, where we forgive even people who haven't done this so that no one should be punished on our account. This answer on another question points out that this explicitly excludes people who owe financial damages and people who transgressed knowing we'd have to forgive them. I can't say why exactly, but I've always understood this passage as being about fellow Jews -- a Jew who has wronged me non-financially, and didn't do it knowing I'd have to forgive him -- I forgive even if he didn't do teshuva, because we're all imperfect and if we're favorable to others maybe God will be favorable to us. I am not sufficiently fluent to be able to tell if the passage quoted there actually says "anybody at all" or means just klal Yisrael. So my understanding is: if a Jew does teshuva we forgive, and if a Jew doesn't do teshuva but these other conditions are met, we forgive anyway. In both cases, does it matter if the gentile is a Noachide, an idolater, neither, or of unknown status? 1 I don't know if it's actually kosher to make exclusions -- to say "except Ploni" -- but it happens sometimes. Non-Jews are certainly able to do teshuva and be forgiven, as evidenced by the story of Jonah and Ninveh (who were forgiven, despite having sinned both against man and God). The Mabit, in Beis Elohim Shaar Teshuvah chapters 13-14 writes that although non-Jews are able to do teshuva, their repentance is fundamentally different than that of Jews in several important ways. However, all of the differences that he lists are metaphysical differences (such as not being forgiven right away, or not being able to exempt themselves from punishment in the afterlife). Regarding the actual procedure of repentance, however, it appears that Jews and non-Jews are equal in this regard. This is also borne out of the fact that the Gemara (and many later poskim) learn laws regarding the teshuvah of Jews from the story of Ninveh as it's portrayed in the book of Jonah (see Taanis 15a, for example). Thus, just as a Jew has to be forgiven by his fellow who was the subject of his wrongdoing, a gentile must also be granted forgiveness from the person whom he has wronged before being forgiven by God. The "release clause" that is included in the pre-Yom Kippur prayer may not suffice for anyone, Jew or non-Jew. This issue is discussed at length in this teshuva from R. Binyamin Zilber. However, given that it does work for Jews, it's possible that the original intent of the prayer is to only refer to Jews. Having said that, if you as the person reciting the prayer have in mind to forgive the non-Jews as well (and, better yet, if you say that explicitly), then whatever power it has for Jews is probably just as effective for non-Jews too. I want to point out that the answer is not nearly as cut and dry as @Matt made it sound. The Midrash Tanchumah (Warsaw edition) Ha'azinu 4 writes that Goyim can not do Teshuva. 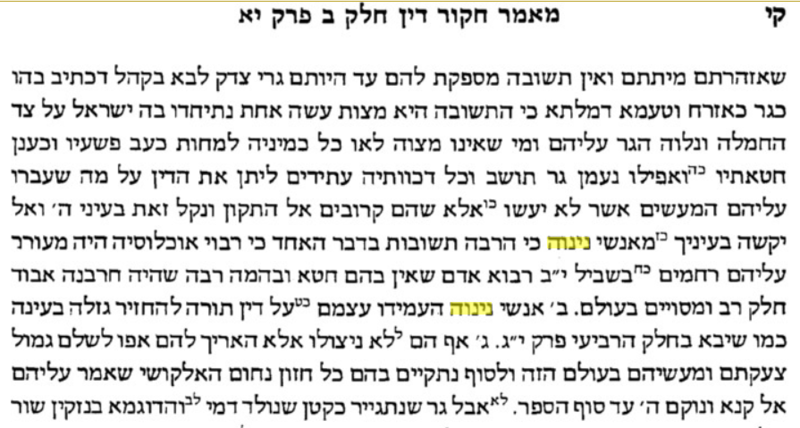 The Rama Mipano also holds that Teshuva doesn't work for Goyim (unless they convert) in עשרה מאמרות, מאמר חוקר דין חלק ב פרק יא for additional reasons and gives three reasons why Ninveh was different: 1: Because it was such a large city and there were many innocent people and animals. 2: They went way above and beyond what they would have had to do. 3: All the Teshuva did was push off their punishment. Rav Ovadya Yosef gives another explanation. He says that for Goyim Teshuvah doesn't erase the sin, it just stops them from getting punished. I'm not saying they can't do teshuva. I'm merely saying its really not clear. It's still worth it for them to do Teshuva as even if it doesn't work it still may prevent them from getting punished or at least delay the punishment signifigantly. The seventy bullocks sacrificed on Tabernacles were offered to atone for the seventy nations. 'Woe to the nations!' says Rav Yochanan; 'for they suffered a loss [by having destroyed the Temple] and do not realize the extent of the loss. While the Temple existed the altar [the sacrifices] atoned for them, but now [that it is destroyed] who will atone for them? To speak only of the case of Idolaters including the modern Idolaters, then are not meant to be forgiven as they have indulged in Shituff. His forgiveness can only materialize if he ceases Idolatry or other Shituff activities. The wrong done to you is a lessor wrong then the wrong he is doing by indulging in Idolatry. The best thing you can do is help him or plan to remove his idolatrous beliefs using reason, and scriptures this in itself would be the teshuva for both of you. e.g: A Christian cannot be forgiven except that he himself does teshuva for the shituff ,aboda zara and then remain steadfast on monotheism. His deeds are immaterial unless first he repents from Idolatry. For non Idolaters then of course there is always forgiveness. Not the answer you're looking for? Browse other questions tagged gentiles yom-kippur repentance-teshuvah forgiving-mechilah . Do I have to forgive a repeat offender? Why did Yonah not command circumcision on the people of Ninevah, especially in the light of the message of Teshuvah? Are we obligated to apologize to gentiles? 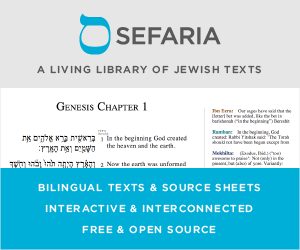 Techniques for preparing for teshuva? Why does Hashem send Yona to tell non-Jews to do teshuva? Should someone tell a Jewish doctor about a tattoo of G-d's name? How can someone, halachically, do teshuva when s/he has offended an anonymous person on the internet? Does a blanket request for forgiveness effect teshuva? Was Yom Kippur ever on a Sunday?